Malmesbury House, National Children’s Home. 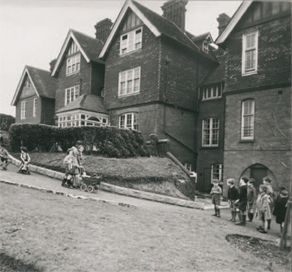 ST. LEONARDS Malmesbury House, 125 West Hill Road, St. Leonards-on-Sea, Sussex General branch for 38 children. Malmesbury House stands in a prominent position overlooking the West Marina at St Leonards. There is a tradition of child care going back to 1869 but the National Children’s Home came here in 1953 . I was here for almost 3 years, from Autumn 1959 to summer 1962. 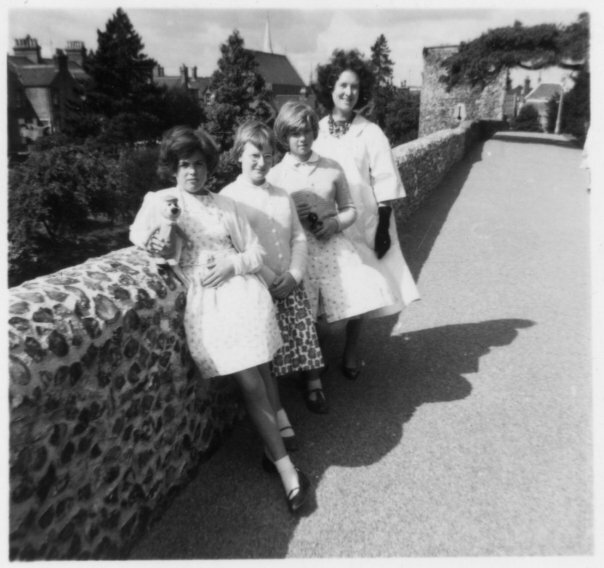 After a short stay in Thornchace Hostel, l guess about nine or ten months of being ‘observed’ after my stepmother’s insistence that I was mad, (I was probably just ‘mad’ at her)………………I was put into care………. “Gillian’s behavour is quite normal and she doesn’t give any trouble to the staff in the hostel or in the school. precipitated by her stepmother’s pathological jealousy of the child’s presence in the home. lt is obvious that Gillian cannot return to this disturded home”. Day out from NCH home with Auntie Hazel, soon to be my foster mum, 1961/2. Gorilla got my hair! —I’m the one at the front holding Yogi Bear.